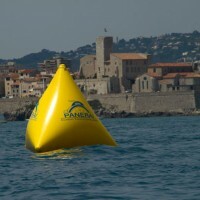 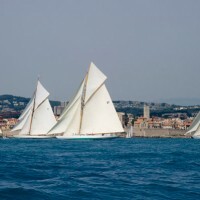 Les Voiles d’Antibes Trophée Panerai is the Mediterranean season’s first gathering of the most beautiful Tradition and Classic yachts in the world. 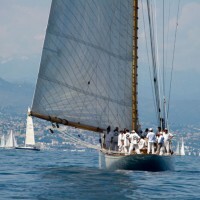 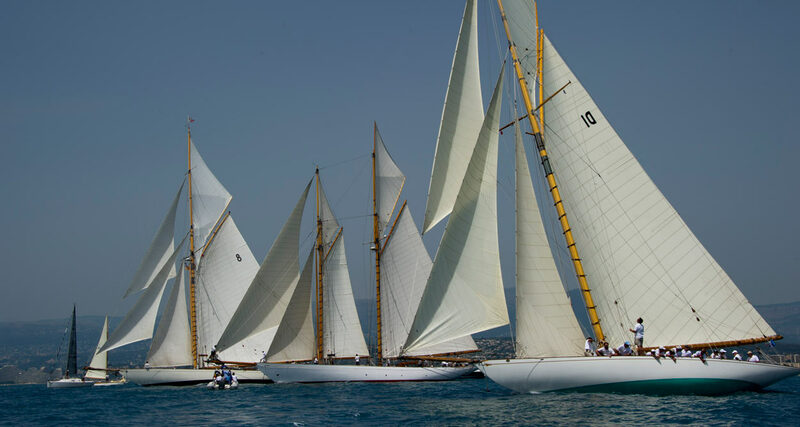 From 4 to 8 June 2014, for the opening of the 10th edition of the Panerai Classic Yachts Challenge, the 19th edition of Les Voiles d’Antibes hosted some 80 boats among the finest Epoque Yachts (built before 1950), Classic Yachts (built before 1976) and Spirit of Tradition Yachts and Metric Classes (6, 8 and 12 MJI, competitors of the America’s Cup from 1958 to 1987). 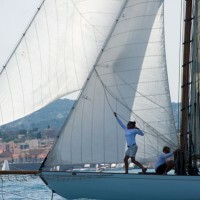 Created in 1996, Les Voiles d’Antibes is the first regatta of the Mediterranean Circuit of the Panerai Classic Yachts Challenge, where adventure and luxury are coming together in a friendly and sporting tradition. 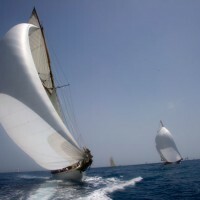 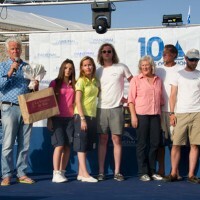 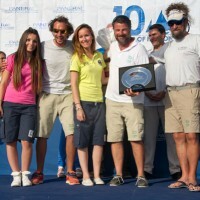 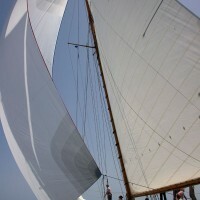 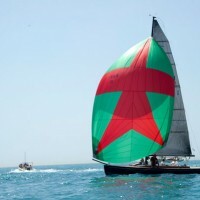 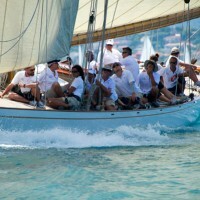 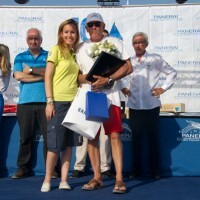 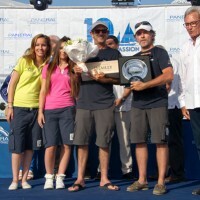 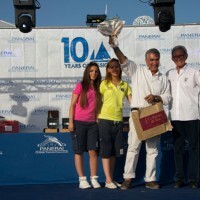 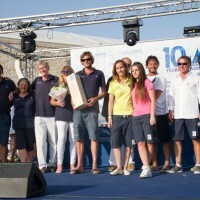 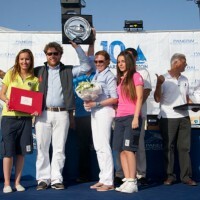 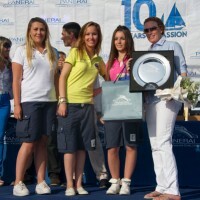 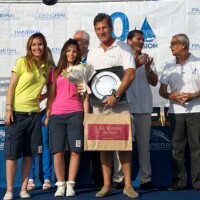 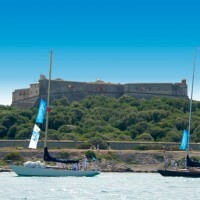 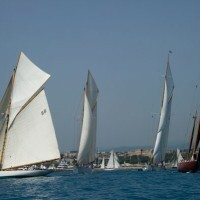 For most participants, this prestigious gathering represents the first major regatta of the Mediterranean season. 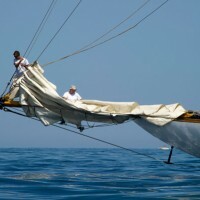 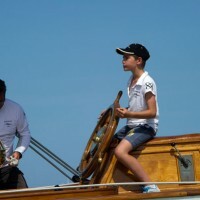 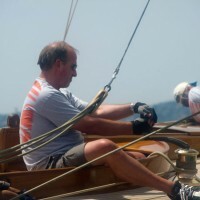 Participants are renewed each year around faithful mythical boats such as Moonbeam, Cambria, Mariquita, Mariska, Stormy Weather, Bona Fide, Hallowe’en, Oiseau de Feu, Outlaw, Adria, Lulu, who have been since long running all regattas. 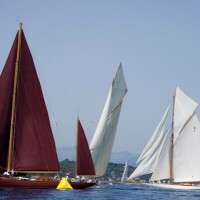 Regattas by regattas, throughout the Panerai Classic Yachts Challenge, these legend old riggings and their crews are writing the great history of international Yachting and its values ​​of fair play, solidarity and respect. 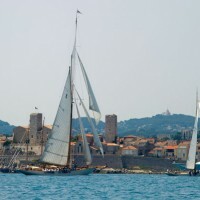 At Voiles d’Antibes, the spectators admired the graceful evolutions of champions in the circuit: 15-meters Émeraude from 1975, three times winner of the Panerai Classic Yachts Challenge in the category Classics (2006, 2007 and 2010); Naïf and Moro di Venezia, respectively winners in their category in 2012 and 2013; Outlaw, first winner of the circuit in 2005. 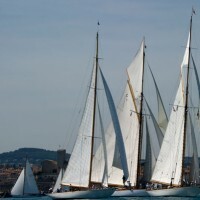 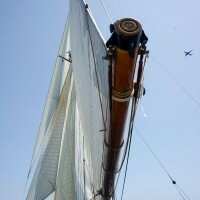 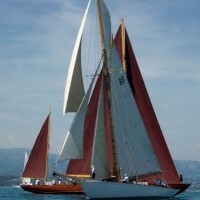 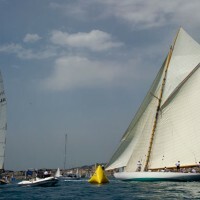 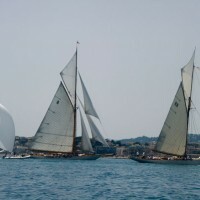 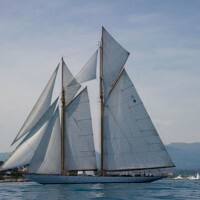 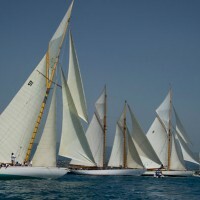 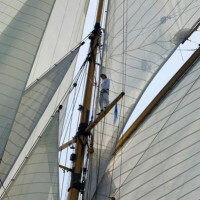 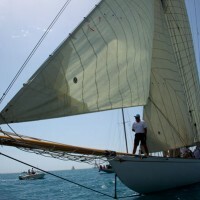 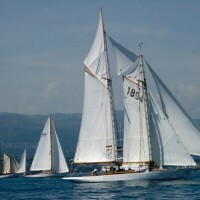 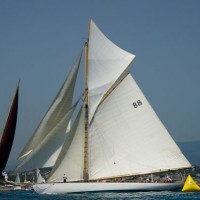 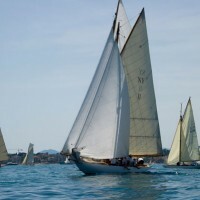 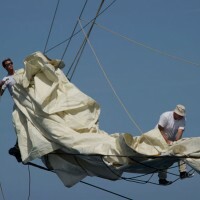 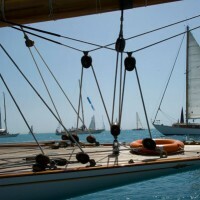 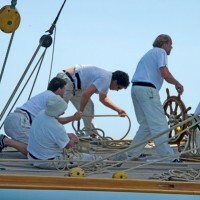 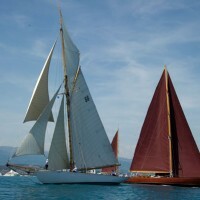 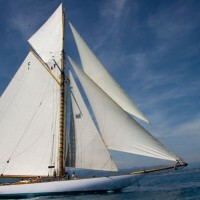 Among the Big Boats, the gaff-rigged schooner Elena of London made his debut in Antibes. 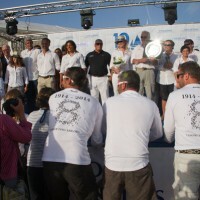 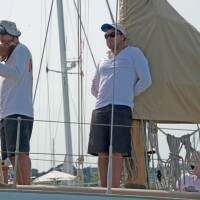 With its 41 meters steel hull, it was the longest of all the participants in this event. 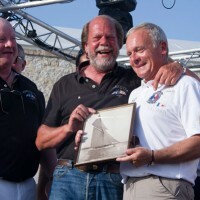 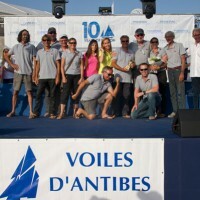 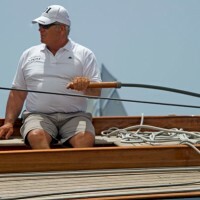 The 2014 edition of the Voiles d’Antibes celebrated two major events: the centenary of famous gaff cutter Moonbeam 4 and the tenth Anniversary of the Panerai Classic Yachts Challenge. 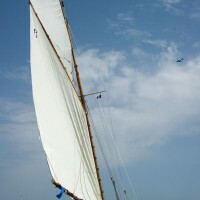 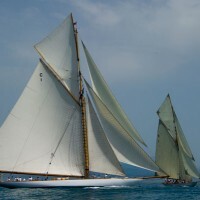 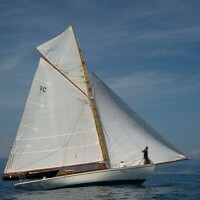 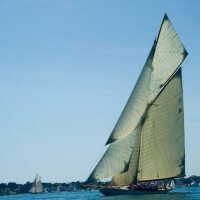 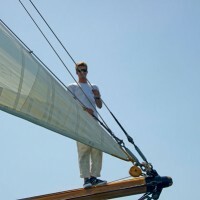 The famous 1914 gaff cutter, Moonbeam IV, built in teak wood and steel, this year celebrates its centenary. 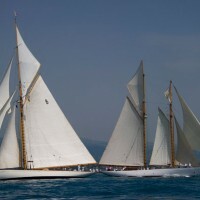 In the 1950s, this 35-meter yacht belonged to Prince Rainier of Monaco and his wife Grace. 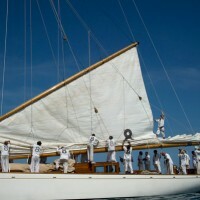 After their wedding in 1956, the royal couple spent their honeymoon on its board. 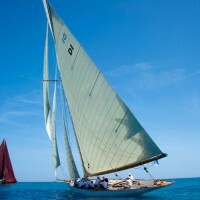 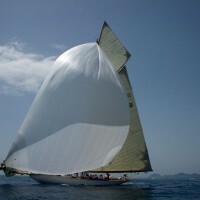 Between 1998 and 2002, Moonbeam IV has undergone a thorough restoration in Burma and participated in many regattas of the Panerai Classic Yachts Challenge, where he won the 2011 and 2012 editions in the Big Boats category. 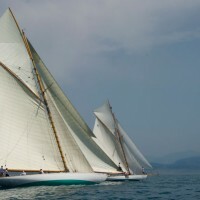 A number of competing yachts belong to the exclusive club of more than a hundred years old ships, arrived intact to this day, such as Lulu (built in 1897), Marigold (1892) and the schooner Sif, built in Denmark in 1894, which this year will celebrate its 120th anniversary. 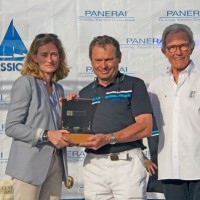 The Panerai Classic Yachts Challenge, the international regatta circuit reserved for vintage and classic sailing ships, sponsored by the Italian brand of sporting Haute Horlogerie Officine Panerai is celebrating ten years of passion for classic sailing, adventures and dreams brought by a constantly renewed support to this unique tradition and cultural heritage that vintage yachts are. 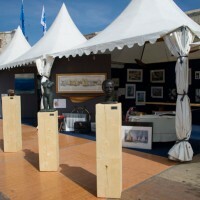 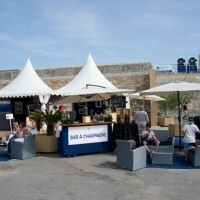 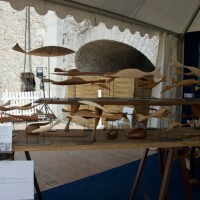 On the Esplanade Saint-Jaume, in the shadow of the ramparts of old Antibes, the public and international crews enjoyed at Village des Voiles d’Antibes, open free to the public, the great conviviality back to earth. 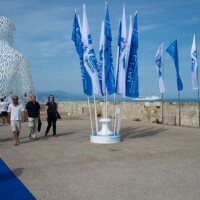 Daily from 9:00 a.m. to 10:00 p.m., many exhibitions and events on the Sea and the Environment have allowed the public to experience the marine culture. 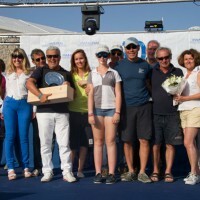 Every evening, musical groups brought together visitors and crews in a cheerful atmosphere, in tribute to the ancient culture of the sea that resonated in Port Vauban, the first yacht harbor in Europe. 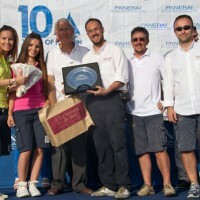 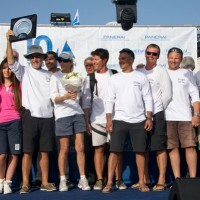 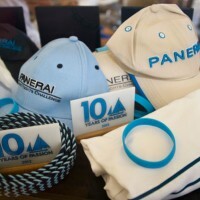 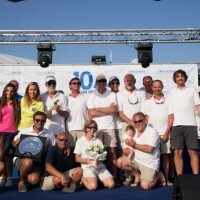 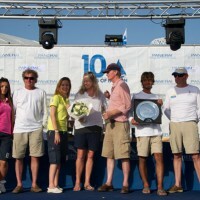 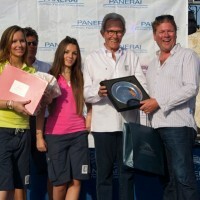 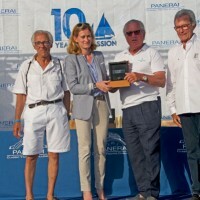 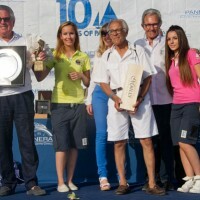 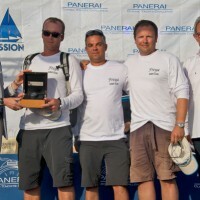 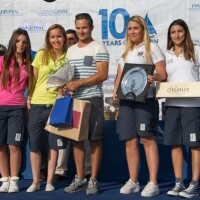 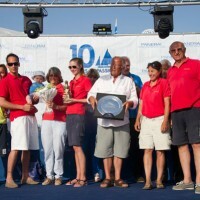 After a regatta per day, ships crews came to pick up the Officine Panerai watches and trphies presented to the winners at the awards ceremony closing the regattas. 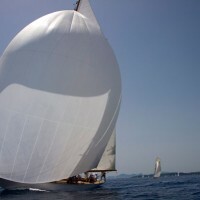 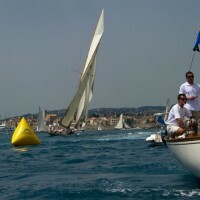 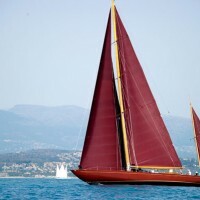 Antibes, famous worldwide for its Picasso Museum and its jazz festival, kicked off a season that will see hundreds of vintage and classic sailing yachts struggle up to September in Italy, France and Spain.